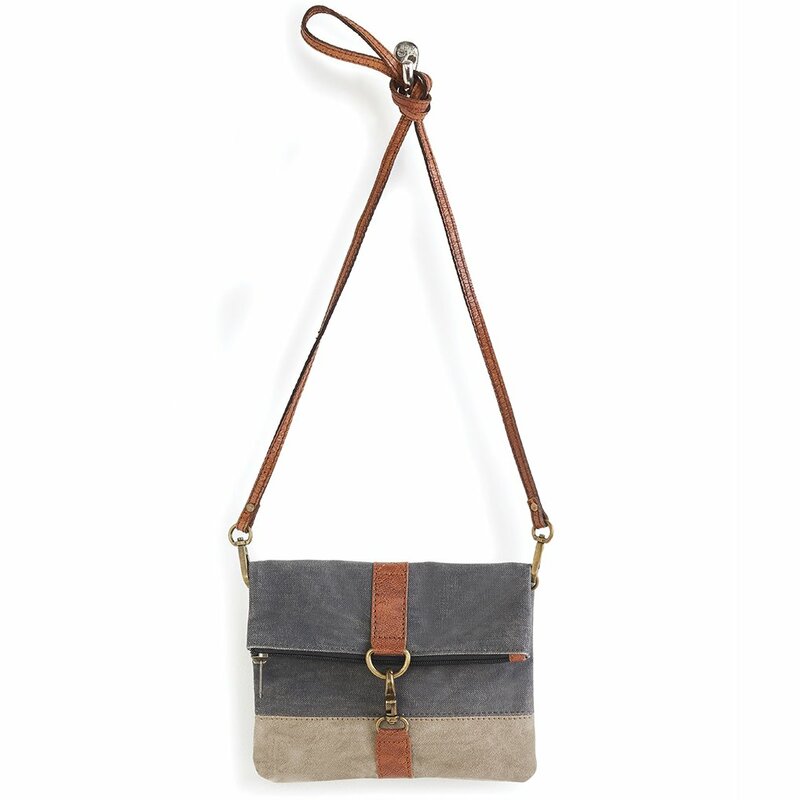 The Finley Cambridge Fold-over Crossbody Bag by Mona B. is a compact, easy-to-wear bag made from upcycled canvas with genuine leather and metal hardware accents. The zipper closure folds down to a swivel bolt claw clasp in front. Finley features neutral two-toned canvas construction in dark gray and tan, and trimmed with brown leather. One exterior pocket located under the fold-over flap. The interior is lined with the signature Mona B. cotton lining. Detachable 22" thin brown leather strap. Dimensions are 8"w x 6.5"h x 1.25"d. Made from recycled antique military tents and tarps. The fabric shows the history of its travels. Color variations and patches add to the uniqueness of each bag. Heavy cotton canvas trimmed with leather.